Watch all the Factor4 videos to learn about this amazing product and how it works to improve your health and control your weight! Whether you want to lose weight or fight health issues and keep your youthful glow, Factor4 is a scientific breakthrough for you. Learn how Power Amino Acids in Factor4 Weight Control® satisfy cravings, boost energy, burn calories and revitalize youth. Hear from Judge Andrew Napolitano how he lost 60 lbs and counting.. 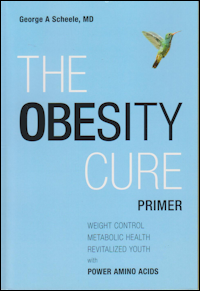 Learn how deficiencies in amino acids in the food chain give rise to overweight disorders and obesity and how Factor4 Weight Control® helps normalize body weight by combating the dietary causes of obesity. 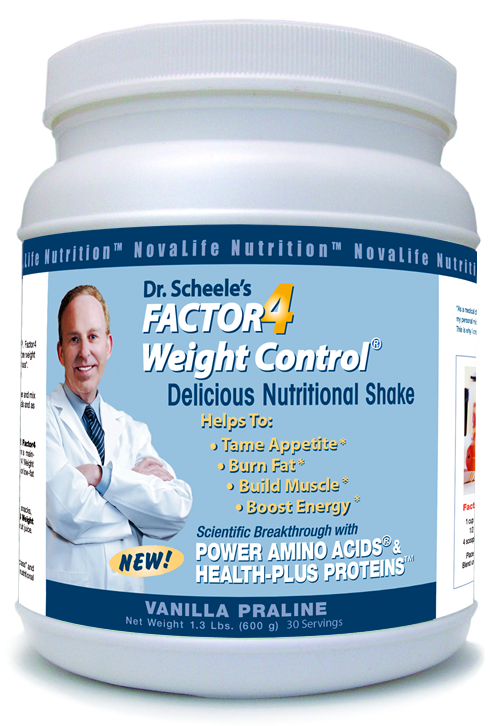 Learn how Factor4 Weight Control®, with Power Amino Acids® outperforms popular diets, weight-loss programs, meal programs and diet pills. 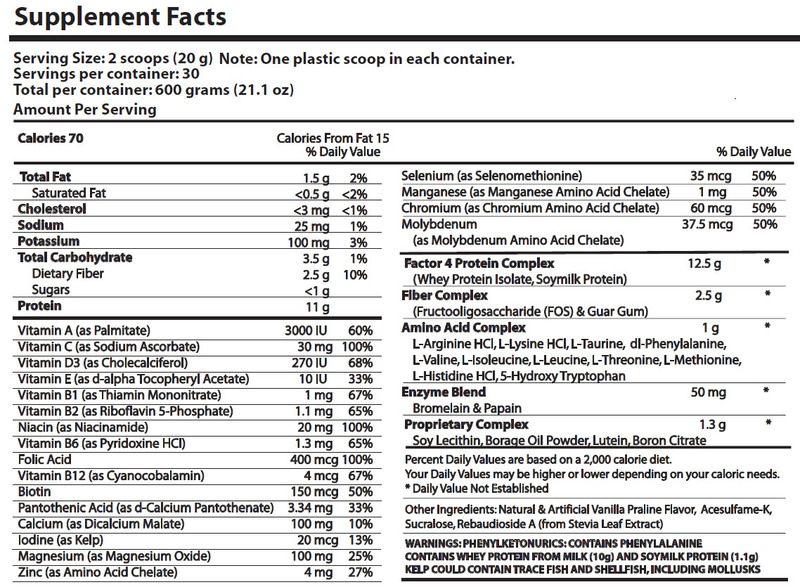 Learn how to adjust the power level of Factor4 to your personal needs with Snack Control, Portion Control, Meal Replacement and Boot Camp strategies. 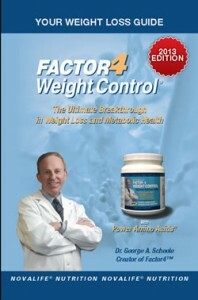 Learn how Factor4 Weight Control® is more effective than vitamins, minerals and/or anti-oxidants in restoring nutritional health through Weight Control and Metabolic Health 4 Life™. 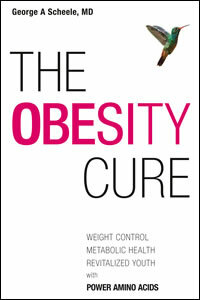 Learn how to feel better in up to 50 ways in the eight (8) major health systems in the human body. Learn how Factor4 restores nutritional health and helps combat anorexia, bulimia, restrictive vegetarian/vegan diets and volunteer starvation routines associated with skipping meals. At 70 calories, Factor4 Weight Control® is the ultimate midnight snack, which not only promotes deep, restful sleep but also helps reduce body weight while you sleep. Obesity is part of a spectrum of metabolic diseases, called the Metabolic Syndrome, which leads to chronic degenerative disease and accelerated aging. The good news is that Factor4 Weight Control®, with power amino acids® helps combat metabolic risk factors and chronic degenerative diseases as well as obesity. Factor4 Weight Control®, with power amino acids®, helps increase clarity of thought, focus and memory and provides a calming effect to relieve stress, anger and rage as well as mood-swings, anxiety reactions and depression. Want to look younger and feel better? Millions of Americans say YES. Factor4 Weight Control® will help to revitalize youth by increasing your pep, energy, activity, stamina, endurance and performance. Want to look younger, live longer and feel better? Eighty million baby boomers say YES. By combating chronic degenerative disease, Factor4 Weight Control® will help increase longevity with enhanced quality of life through feelings of comfort, satisfaction and well-being.